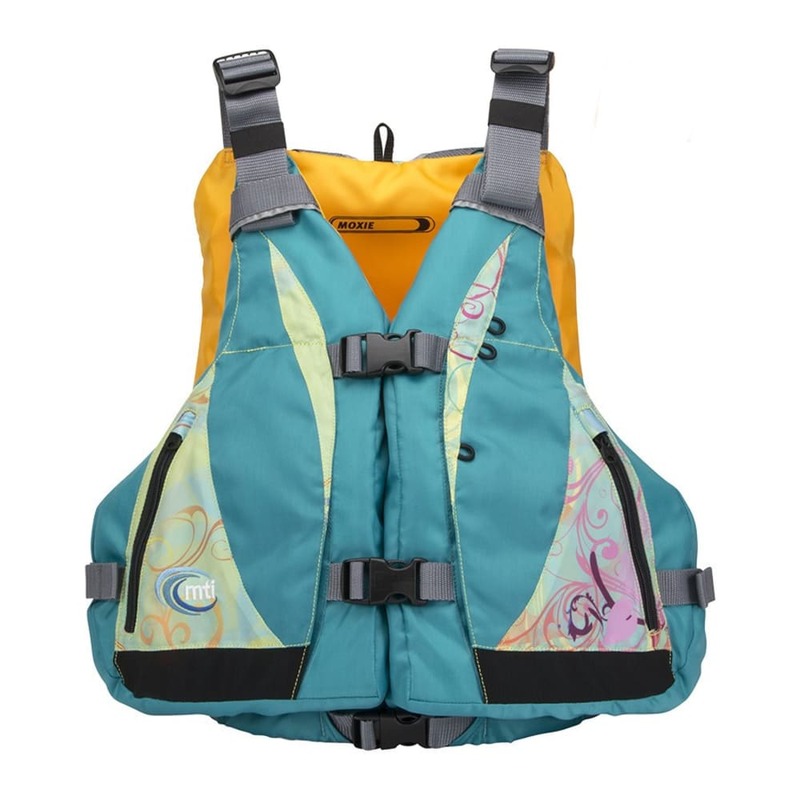 Combining the innovative Adjust-a-Bust fit system with a highback life jacket design, the Moxie is a woman's best choice for warm-weather recreational paddling. 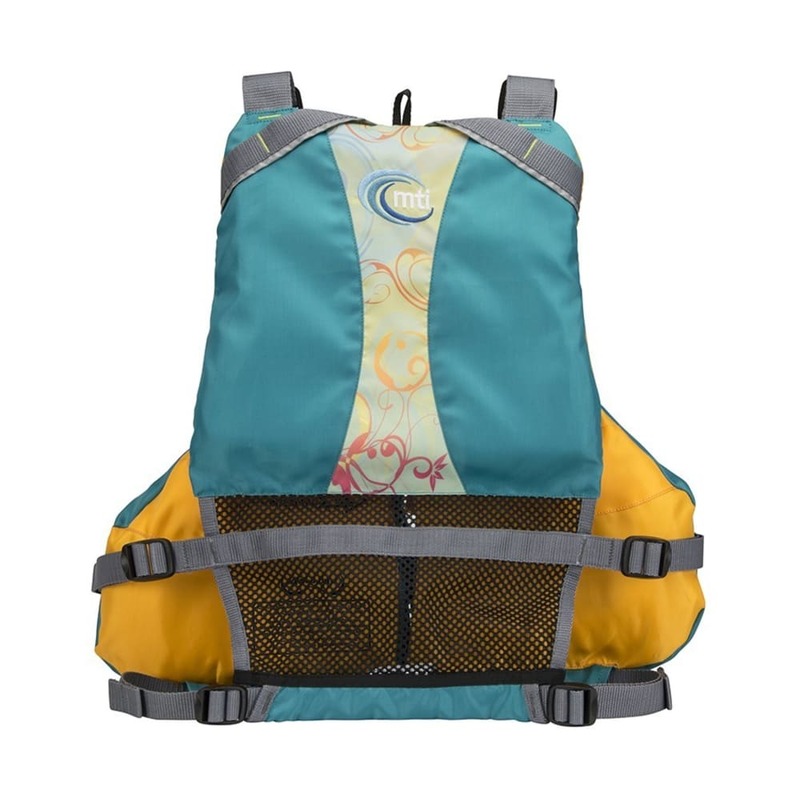 Mesh back panel and open sides keep you cool and the flotation foam sits up high, out of the way of sit-on-top and recreational kayak seats. 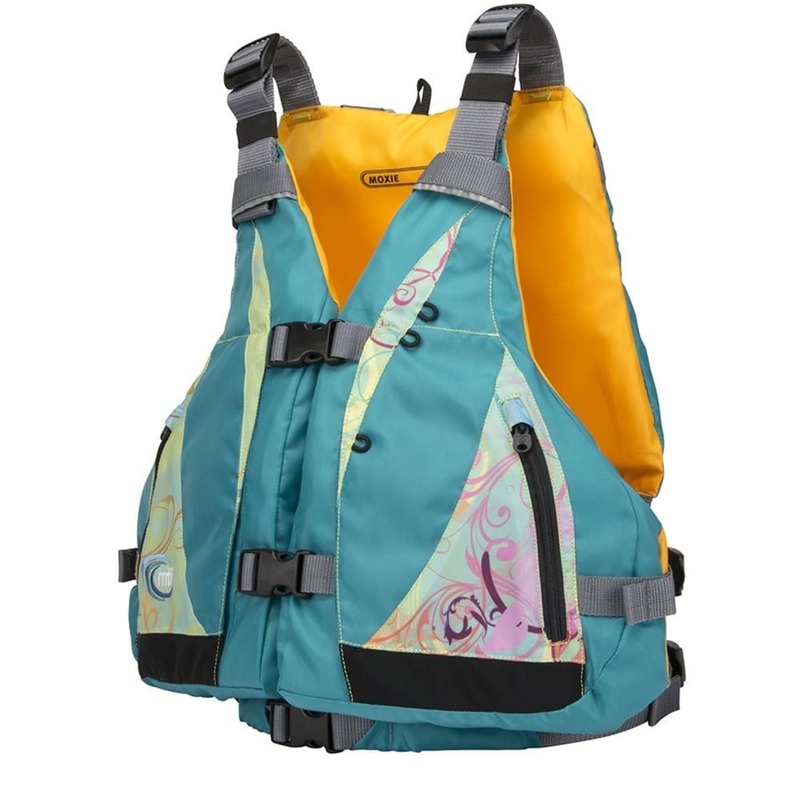 Sublimated accent fabric print is unique to every jacket. Sizes: XS/S 30-36"; M/L 36-46"; XL/2XL 46-56"